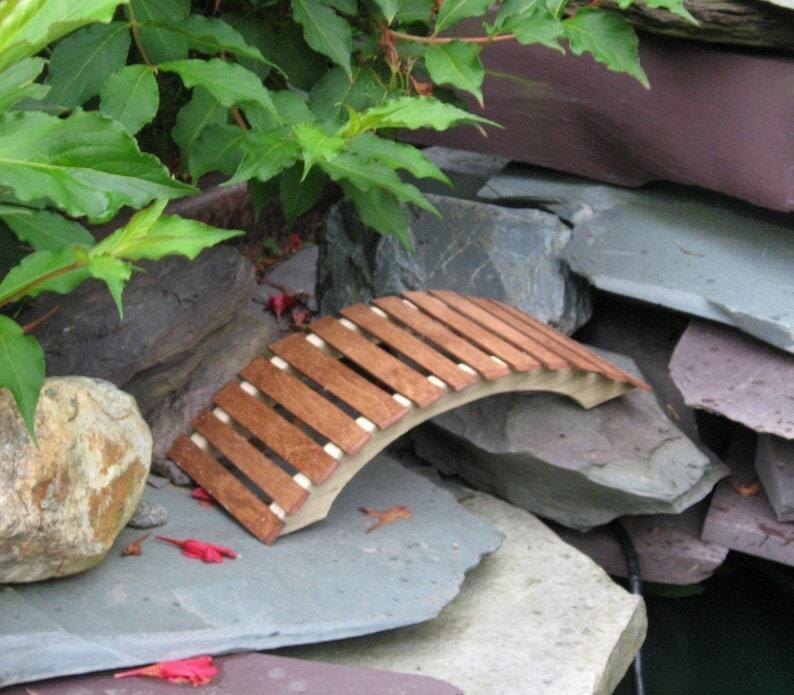 You are commissioning me to construct a wonderful miniature bridge for the Wee Folk in your garden like the one pictured. The dimensions of the bridge are approximately 11 inches long by 3 inches high by 5.5 inches wide. I will happily combine shipping on multiple orders. If the shipping you pay exceeds the ACTUAL shipping, I will reimburse the difference.